Welcome Home New Employees! Go Leopards! A special thank you to Baycel Federal Credit Union for a delicious breakfast & good bags! Thank you also to TDECU & Matagorda County Women's Crisis Center for bringing goodie bags as well to our new employees! Pic 1 - Our new employees were warmly greeted by a few of our Leopard teammates this morning! Pic 3 - VVISD Superintendent, John R. O'Brien addresses the new employees and office personnel from each campus/central office. 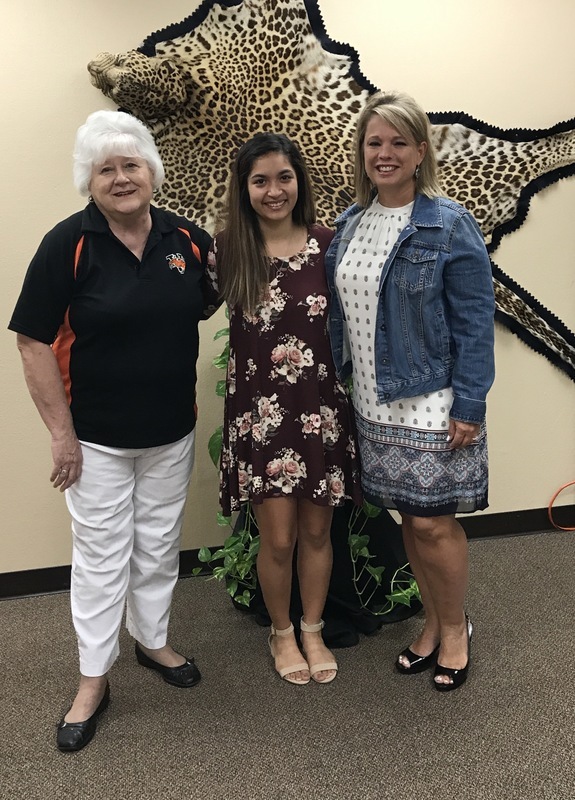 Pic 4 - Mrs. Pat Hackworth, Ms. Erica Moreno, & Mrs. Christie Dement. Not pictured - Melinda Owen. Thank you Baycel Federal Credit Union for the delicious breakfast and goodie bags!